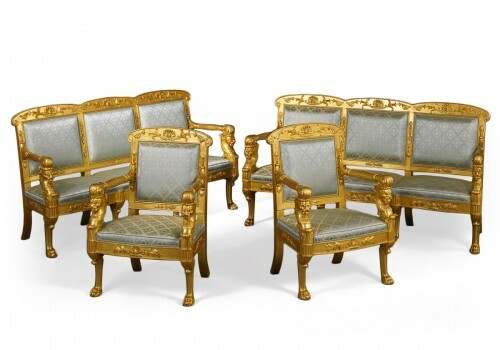 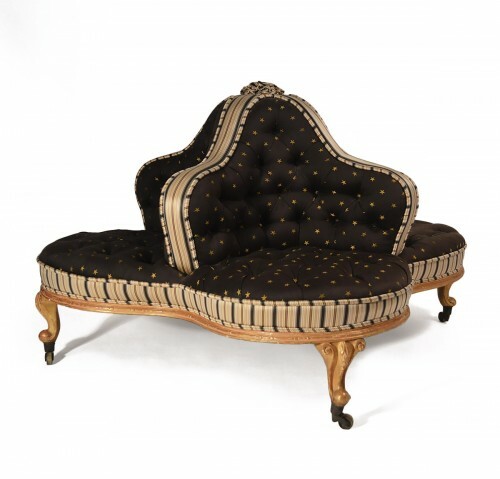 French work of the mid-19th century, gilt wood salon set in french Regence style. 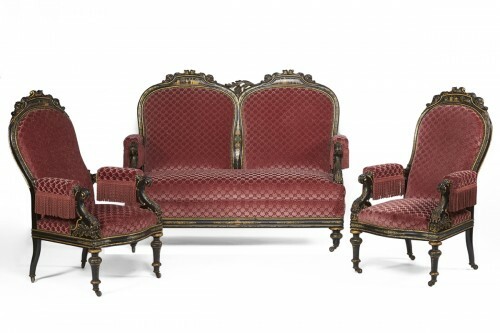 Consisting of a sofa and two armchair, reversible cushions. 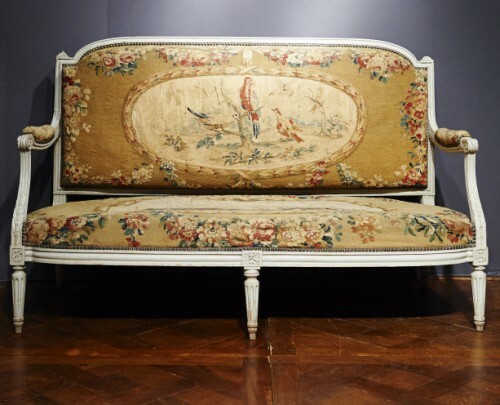 Fully reupholstered in the rules of art. 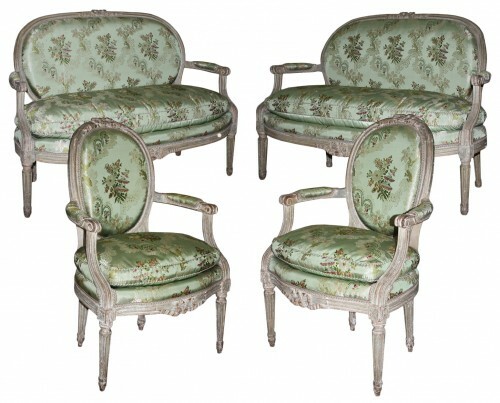 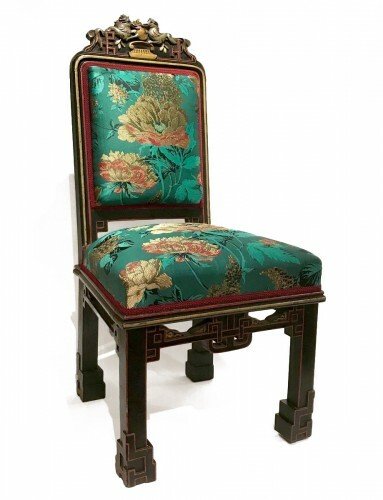 Armchairs: Height 110 cm / Width 56 cm / 54 cm Seat depth / total depth 65 cm.